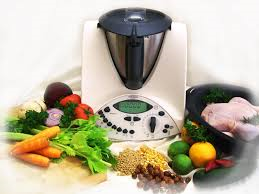 Here is a shopping list for new Thermomix customers. I have combined a few lists I found on various Thermomix related websites: ThermoFun, Thermomix Recipe Community & Simone’s Thermomix Essentials. This list will allow you to make endless variations of meals, deserts & snacks when you first get your Thermomix. It is not essential that you have all these items on this list it is just a guide. Most of these are easy to grow so why not start your own herb garden.